It’s January, and we all know what that means. It’s time to dig out our now-too-small workout gear and join the hundreds of others with the same idea, angrily sweating their way through a workout in a gym that strongly resembles a tin of miserable, treadmill-pounding sardines. It’s goodbye morning bacon butties and hello kale, green juices or perhaps, if you’re really committed, veganuary. It’ll all be worth it when we get our dream body, we say to ourselves on January 2nd, miserably forking salad leaves into our mouths and trying not to think about the leftover Christmas chocolate at the back of the kitchen cupboard. New Year’s resolutions are notoriously hard to stick to, but with the mince pies, baileys and those seven large plates of turkey curry wolfed down between Boxing Day and January, ‘lose weight’ is the obvious choice of resolution for most people. But with 80% of New Year’s resolutions failing by the second week of February, it’s easy to think that achieving our weight loss goals simply isn’t on the cards for us. Technology makes our lives easier in so many ways. We can order dinner via our smartphones. We can book a taxi, make a reservation, check the status of a flight. We can forget our wallets and know that it’s no biggie. We can pay off our debts and we can track our water intake. Hell, we can even check out our ex’s cousin’s housemate’s holiday album from his trip to Croatia back in 2011. And now? Now we can lose weight. Alright, so we still need to exercise and eat healthily. These are tech products, not plastic surgery coupons. But if you’re serious about your New Year’s diet, take your pick from our favourite fitness tech look set to hit the mainstream in 2018. Ok, so we’re not really selling it, but we can certainly see the appeal. Gyms are now using technology to track members’ heart rates, calorie burn and training zones, displaying the results on a screen at the front of their fitness classes. What does this mean for your weight loss efforts? Well, it means that everyone in your fitness class can see if you’re being lazy. 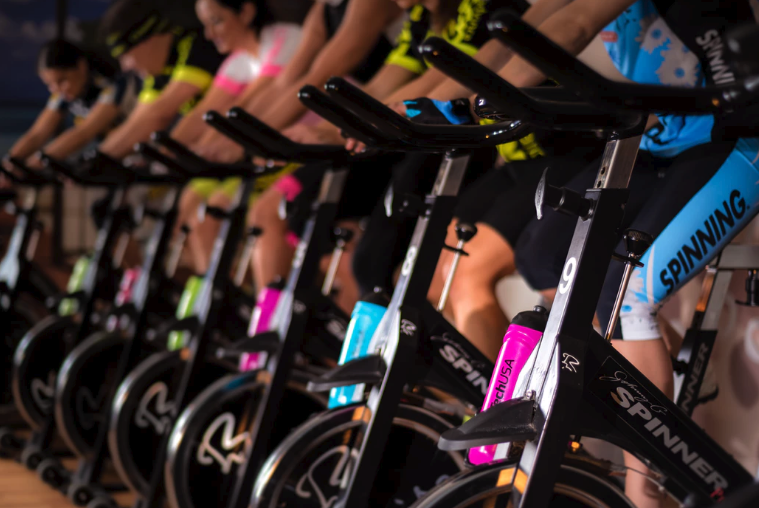 Gone are the days when you could turn your spin bike back down to level 1 if you needed a little time out; it’s now clear as day who’s slacking. To us, this sounds like a living nightmare. But if you know you’ve got a competitive streak and want to see how you’re faring against other gym-goers, this could be the technology that brings out the best in you. Both virtual and augmented reality can play a part in helping you to shed some pounds this January. Remember the inspiring weight loss stories that sprung from Pokémon GO? No? Us neither. But we’re sure there were some. Pokémon GO took the notion that you can’t exercise and game at the same time and turned it on its head. Gamers are no longer seen as lazy, pre-pubescents who spend all day in a dark room throwing insults at other gamers on the other side of the world. They’re more than happy to get outside in the fresh air if they have enough incentive. Virtual reality in the fitness industry comes in many forms and is guaranteed to grow in 2018 (while hopefully helping us to shrink). Firstly, there’s the games. Two standouts for us are Fruit Ninja and Drunken Bar Fight. While the name ‘Drunken Bar Fight’ doesn’t exactly scream ‘New Year, New Me’, its novel and unconventional way of encouraging exercise could just be what keeps us going. 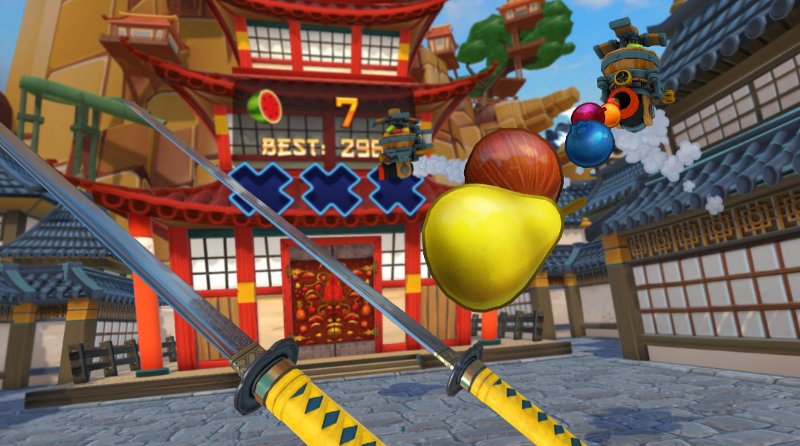 While Fruit Ninja involves using virtual Samurai swords to chop up flying fruit, Drunken Bar Fight encourages users to punch and throw things, gaining strength as they drink more alcohol. It’s certainly unusual, but if it burns calories then we’re not complaining. Virtual reality is also being used in gyms to make running on the treadmill less boring. In 2015, Hong Kong gym Pure Fitness invested £250,000 on ‘immersive fitness’ — a purpose-built studio featuring a 270-degree VR screen. 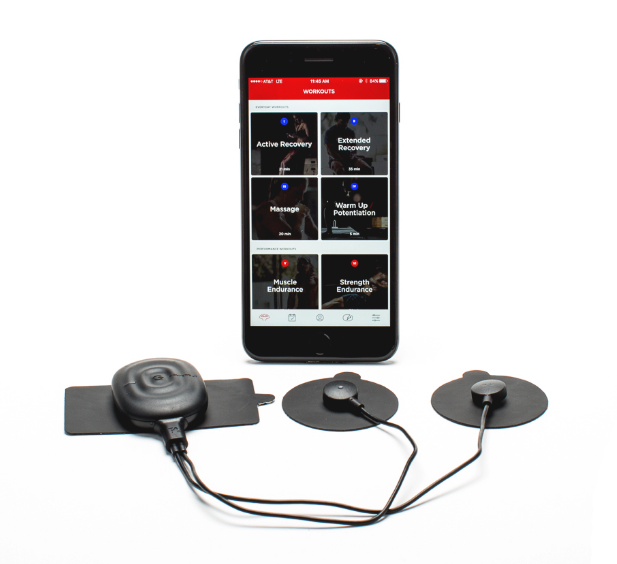 The Powerdot is an electric muscle stimulation device, which promises to activate your muscle fibres at any stage of your workout — before, during or after. It may look like a torture machine (and it probably feels like one too), but the Powerdot promises to decrease muscle tension, increase blood flow, improves muscle strength and prepare muscles for training — depending on which ‘workout’ you select. Using the Powerdot app, users can select the muscle group they’d most like to target, and the Powerdot will then send electrical impulses to that part of their body. The product costs a hefty £274.99, but if your January DOMS are almost too much to bear, it might just be worth it. If strapping an electrical muscle stimulation device to your chest seems a little OTT, perhaps you’re better suited to MUHDO. 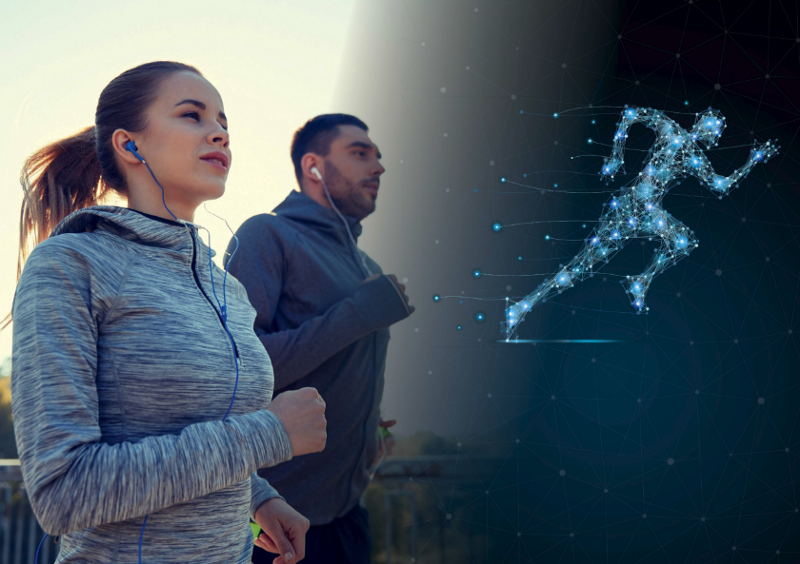 Using advanced and comprehensive genetic profiling, MUHDO creates personalised health and fitness plans based on your unique gene functions. So how does it work? Well, your genetic data is analysed by experts, who then create a detailed report and personalised health and fitness plan. The plan is tailored to you; based on your specific goals and unique DNA. They also provide ongoing support, information and inspiration, giving you the best possible chance of achieving your health and fitness goals. The only downside is that you’ll still need to exercise and eat well, but that pretty much goes without saying when it comes to getting in shape. If you’ve got a spare £249.99 then what have you got to lose? — aside from those pesky pounds. We’re well aware that only a year ago we wrote a piece heavily questioning the accuracy and effectiveness of wearable fitness trackers like the market leading Fitbit but hey, we’re still here and still chubby so maybe it’s time to give it another go. 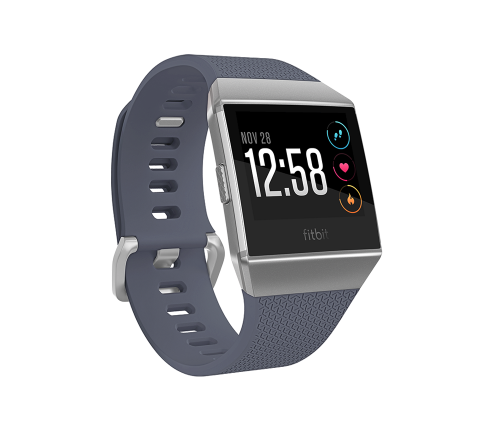 The Iconic is Fitbit’s latest attempt to get the nation exercising. It features dynamic personal coaching, the ability to both store and play music without the use of a smartphone, a built-in GPS, heart rate tracker and multi-sport analysis. The Iconic certainly feels a bit more ‘smartwatch-y’ than its predecessors, and for this reason we’re willing to give it a try. The downside? It costs £239.00. However, Amazon are on hand to save our waistlines as they’ve put it on sale for £239. Time to start training.